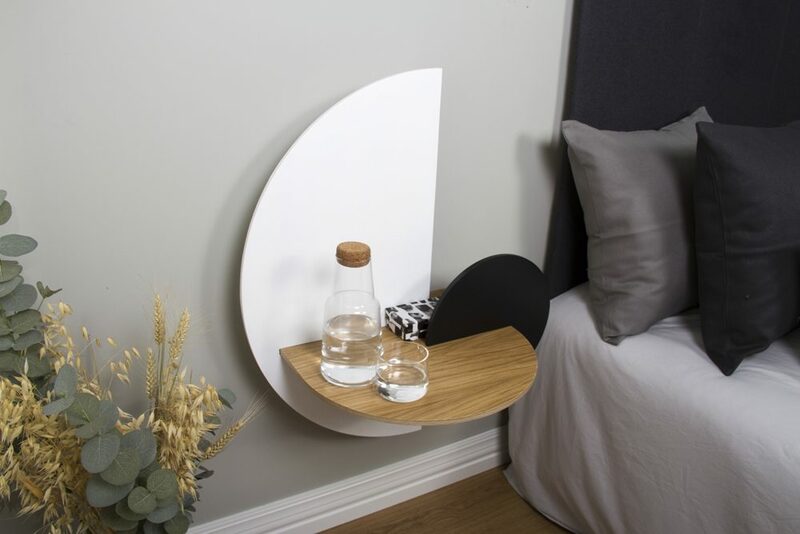 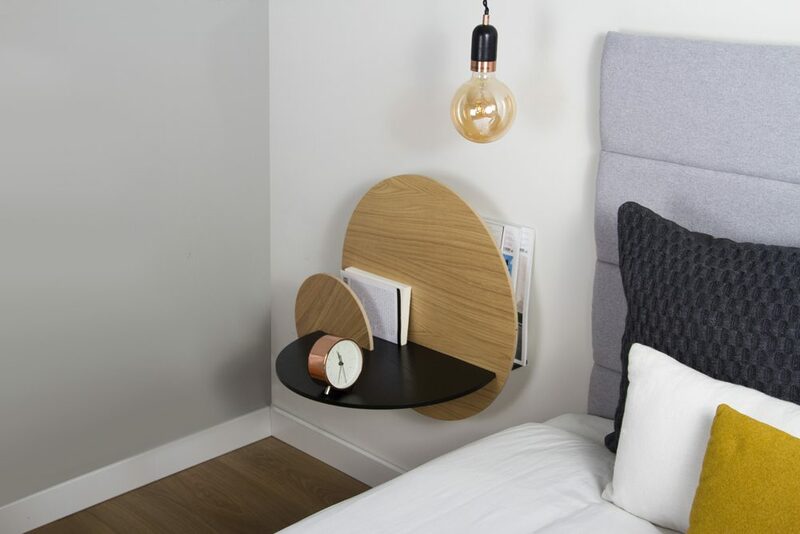 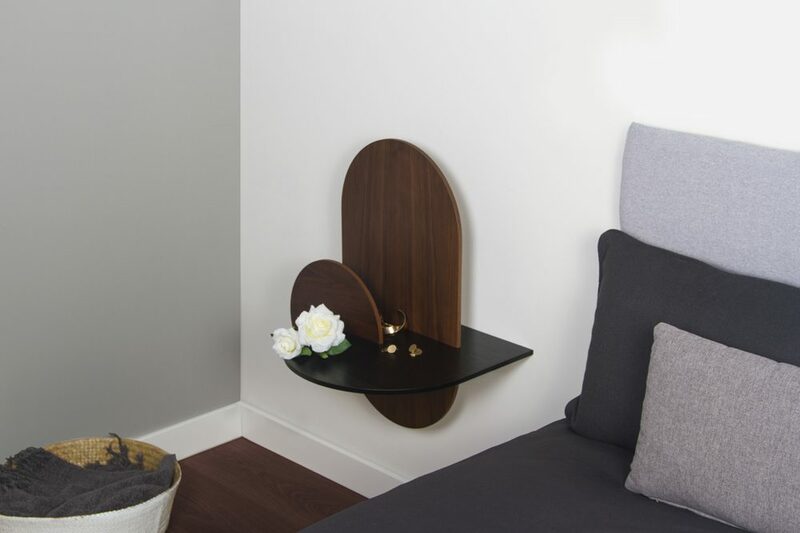 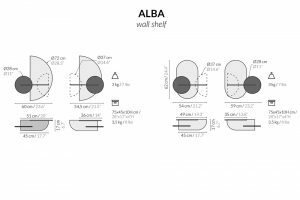 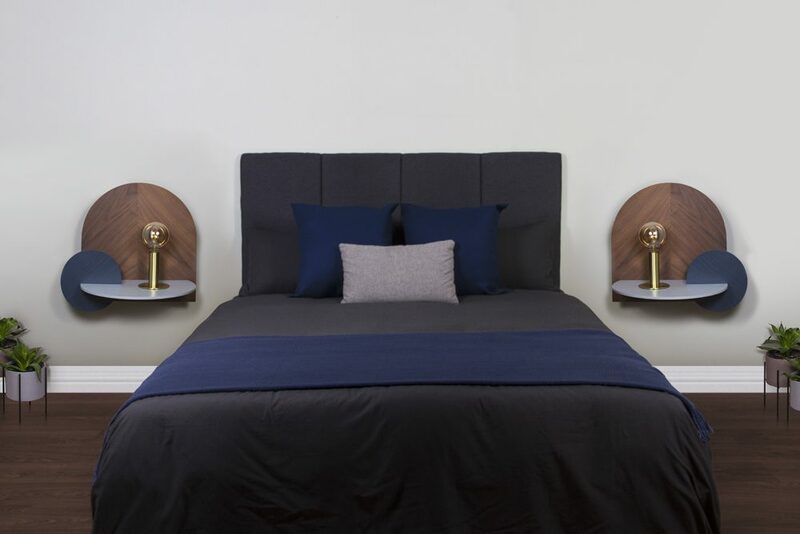 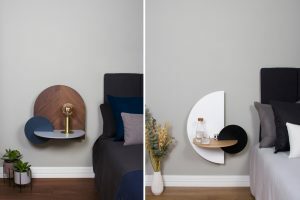 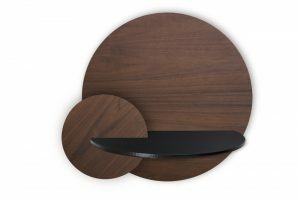 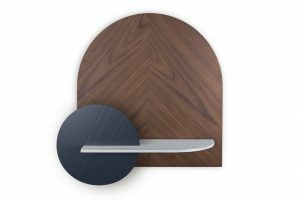 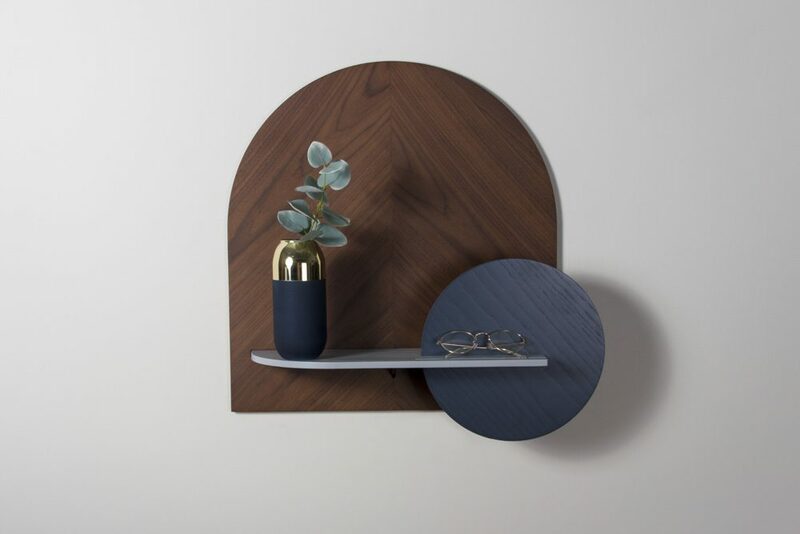 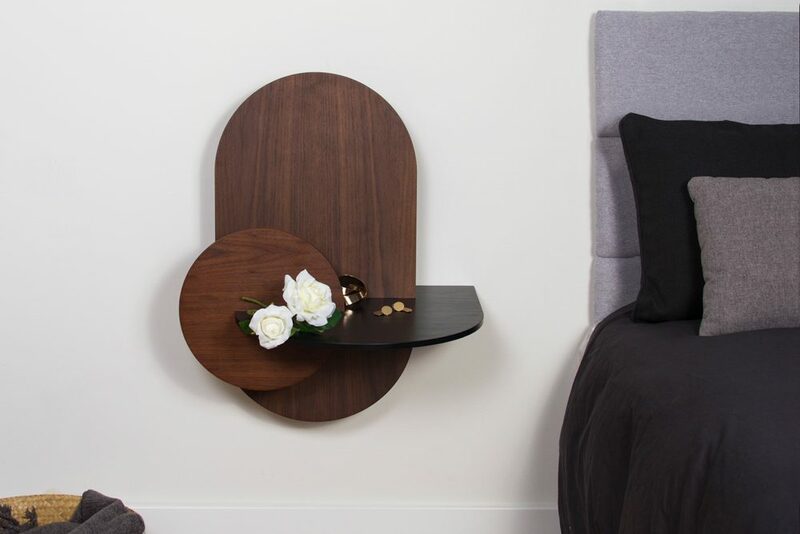 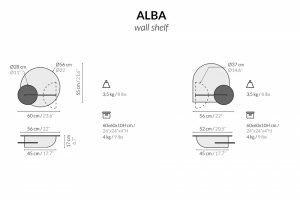 Alba is a versatile product that can be used as a wall shelf with hidden storage and as a bedside table with concealed storage. 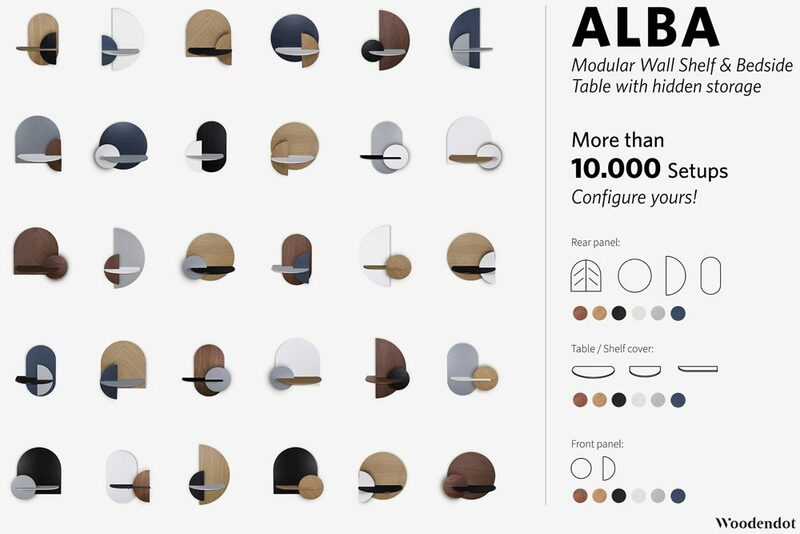 Alba means “sunrise” in Spanish, hence its name, since the two front pieces of the product simulate the sun and the moon reflecting in the water when a new day dawns. 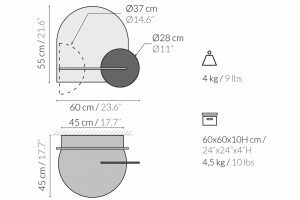 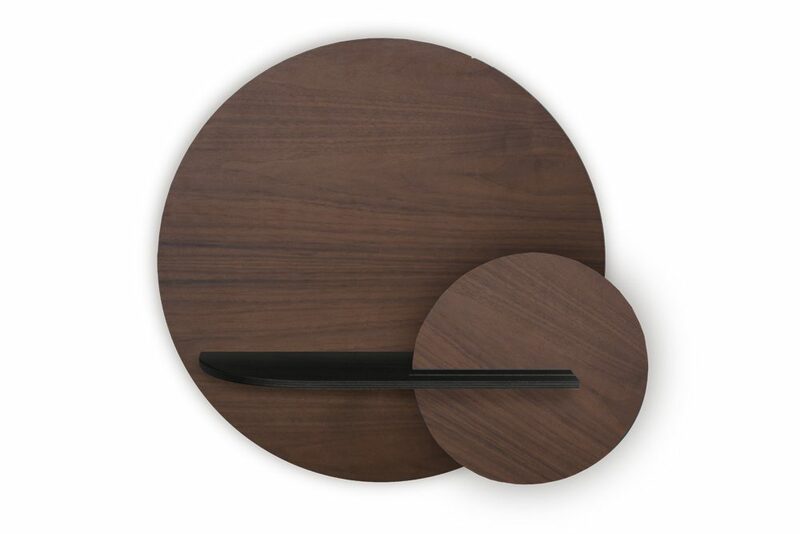 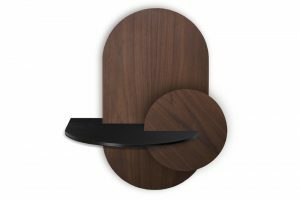 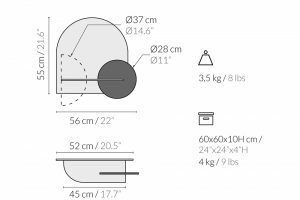 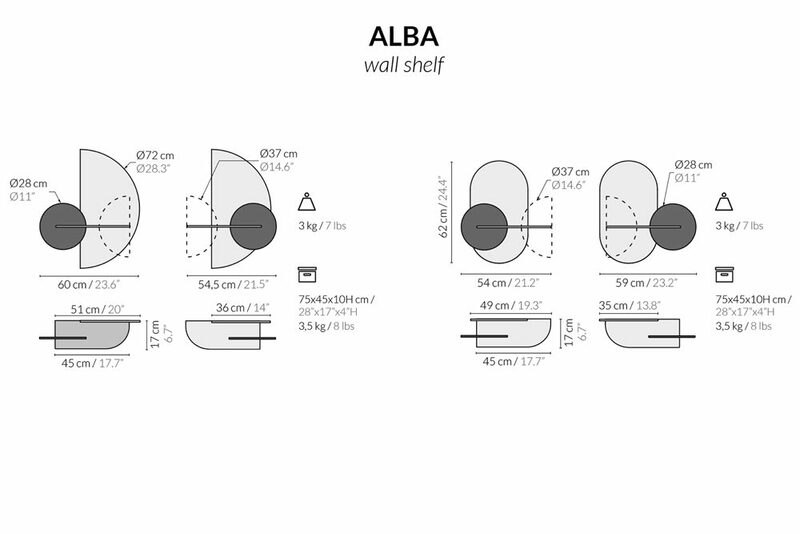 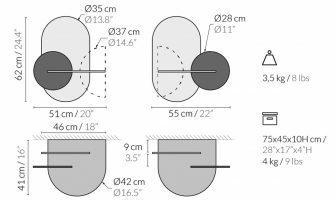 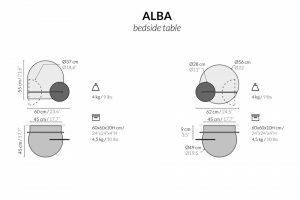 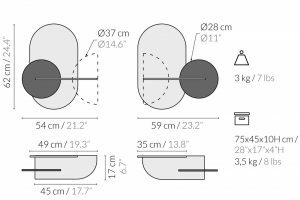 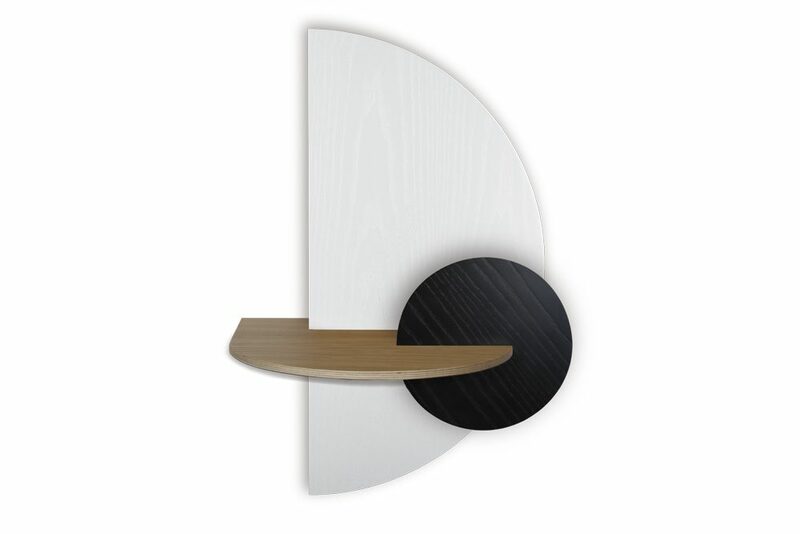 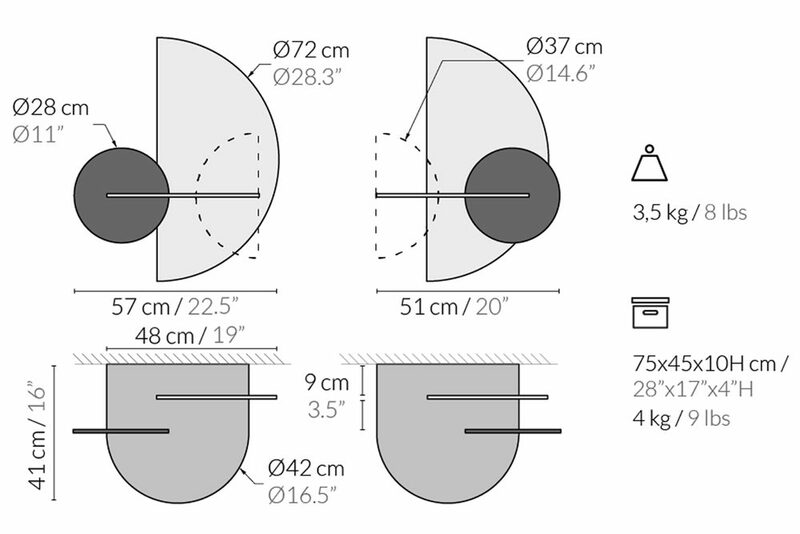 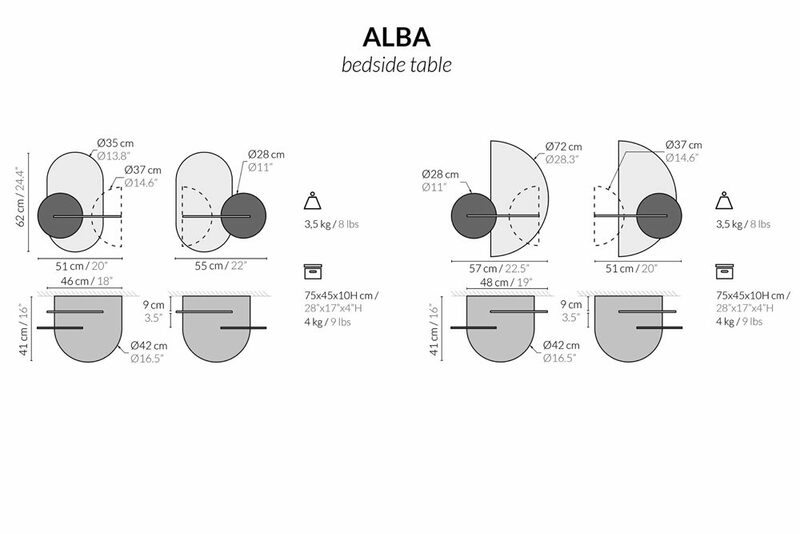 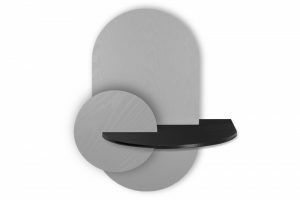 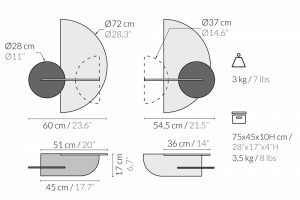 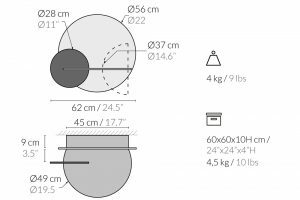 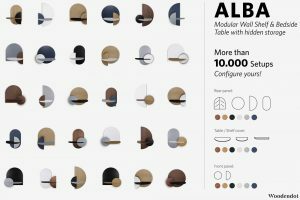 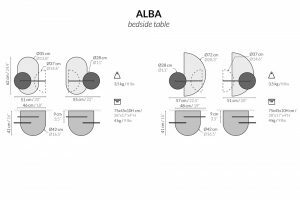 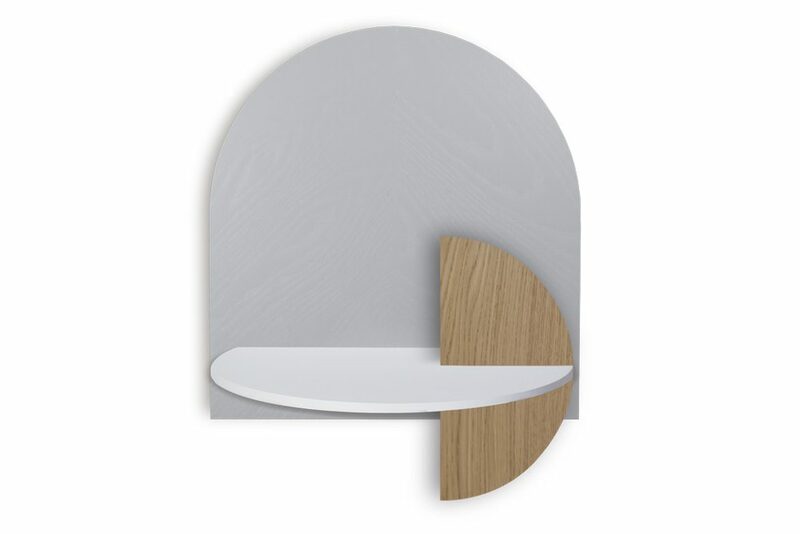 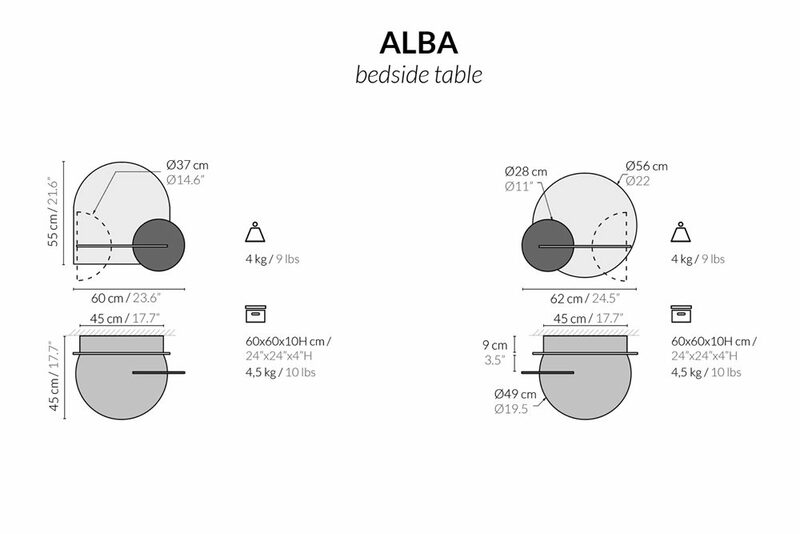 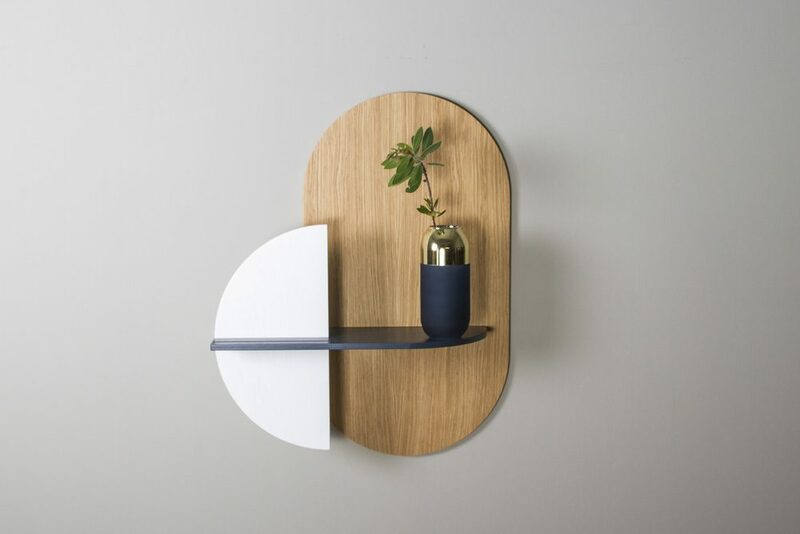 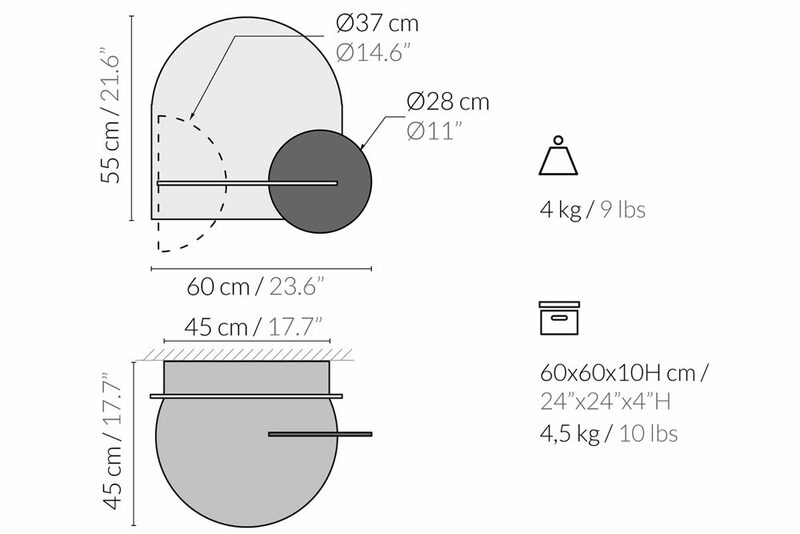 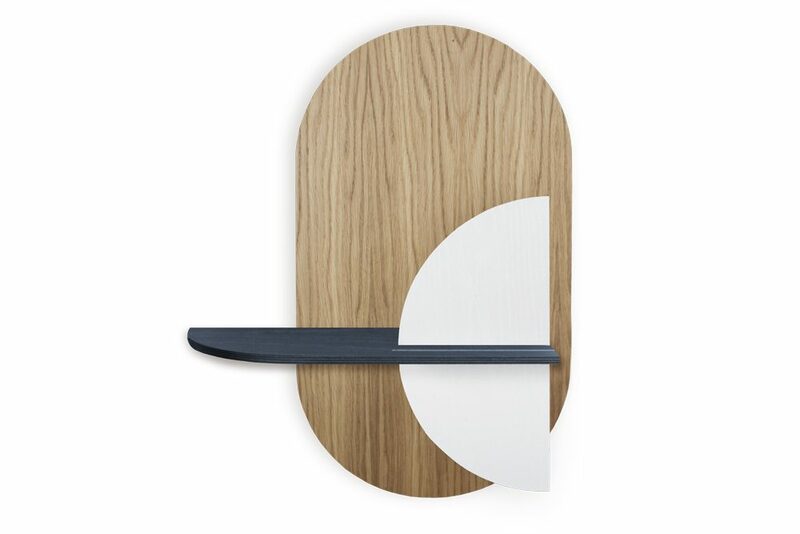 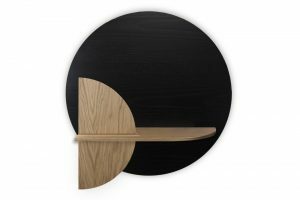 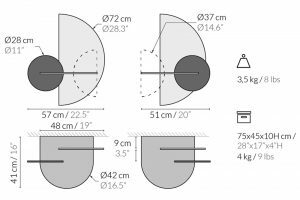 Alba is basically composed of 3 flat pieces of Plywood and a metal bracket that is fixed on the wall. 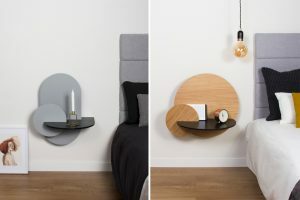 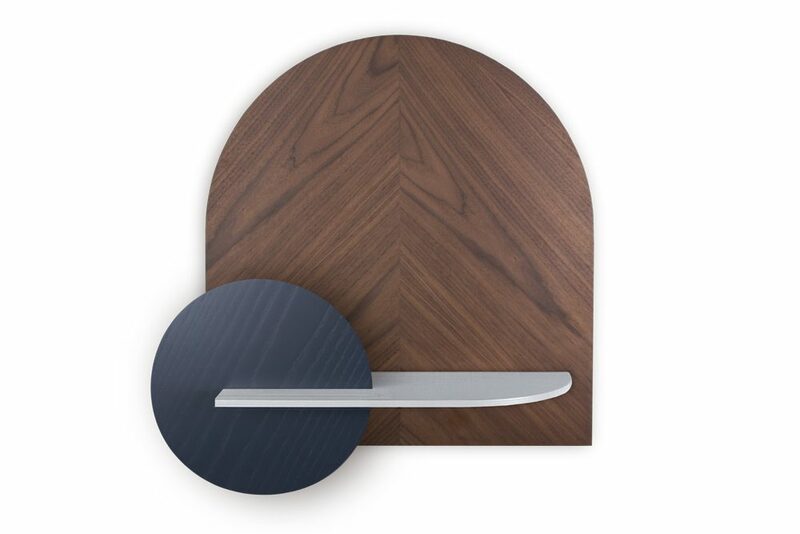 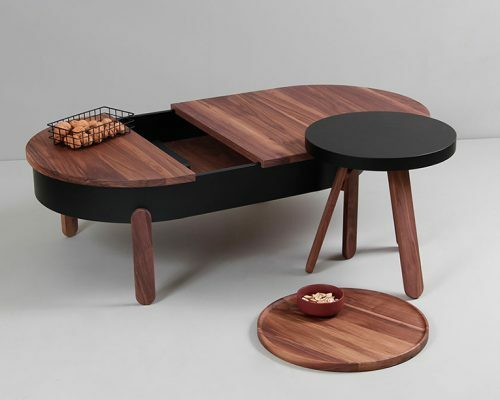 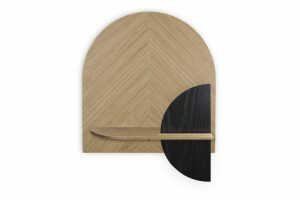 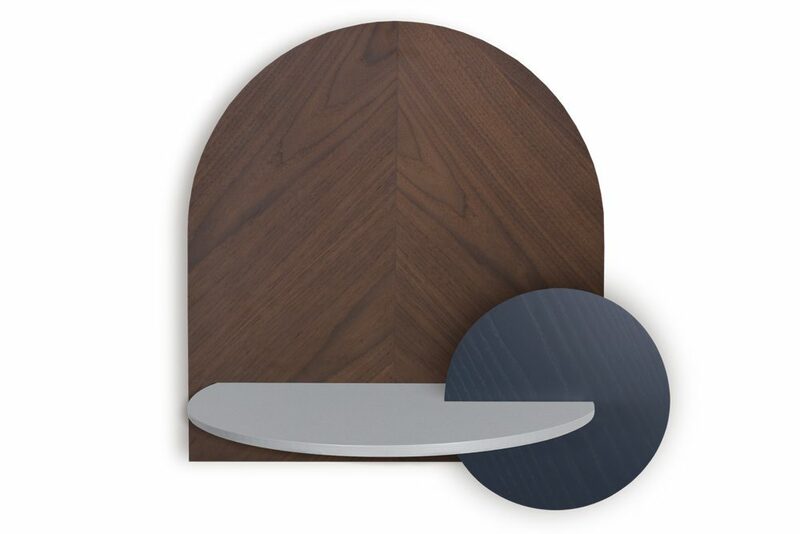 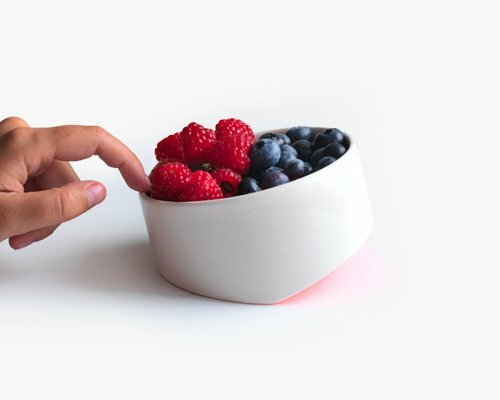 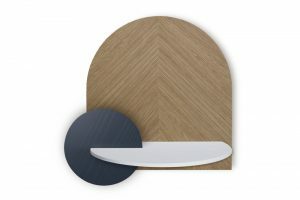 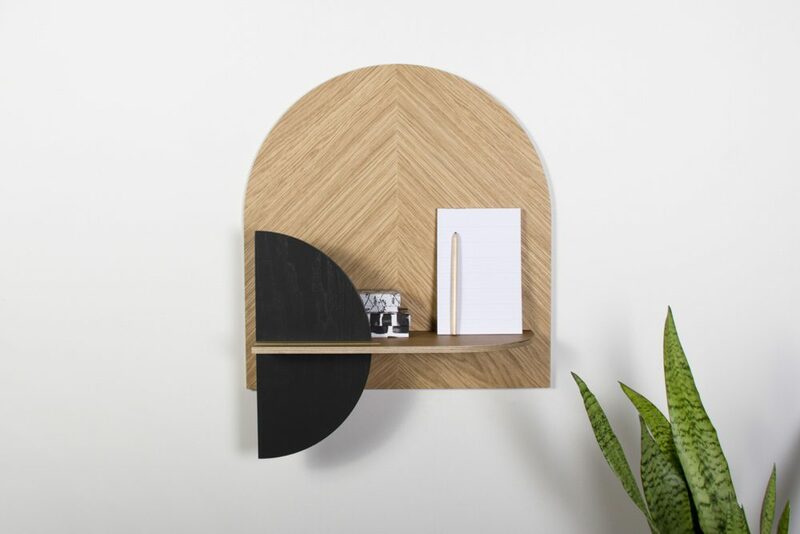 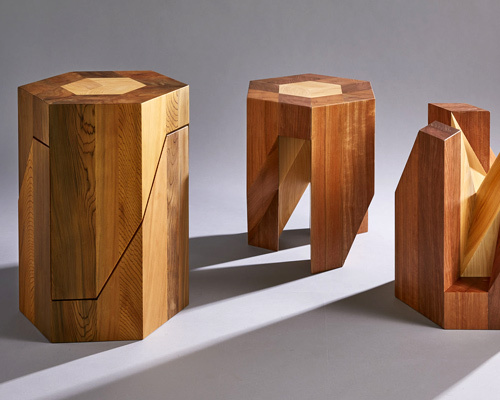 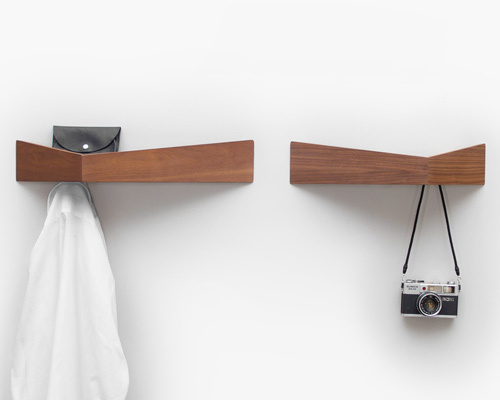 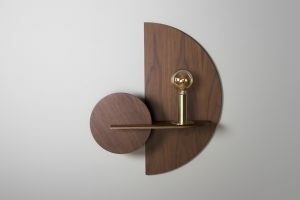 The arrangement of these pieces in the space gives the product the ability to hide objects behind the vertical pieces, since there is a separation between them. 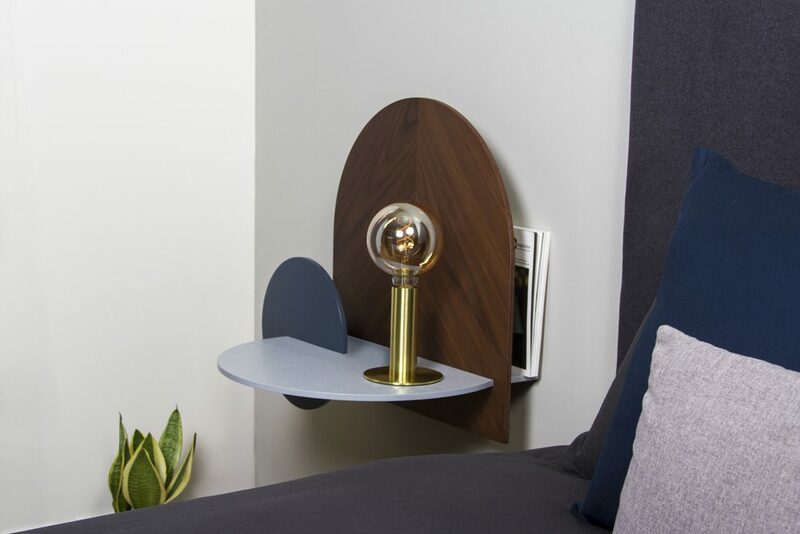 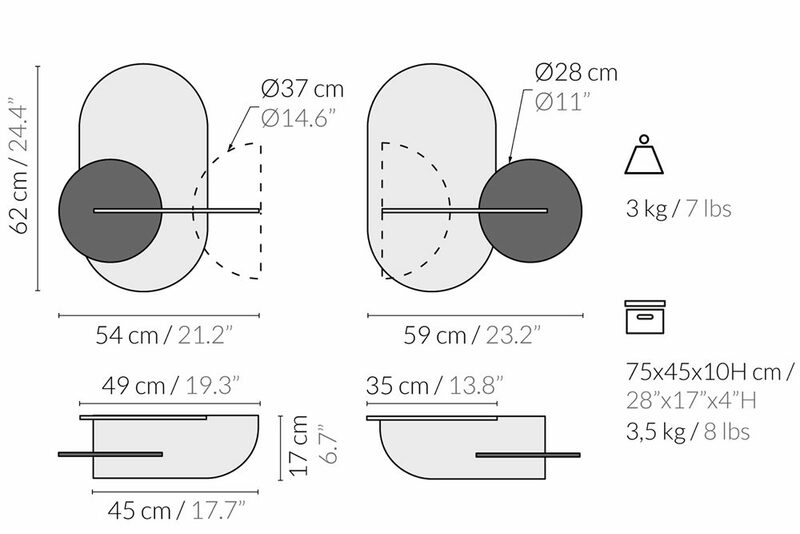 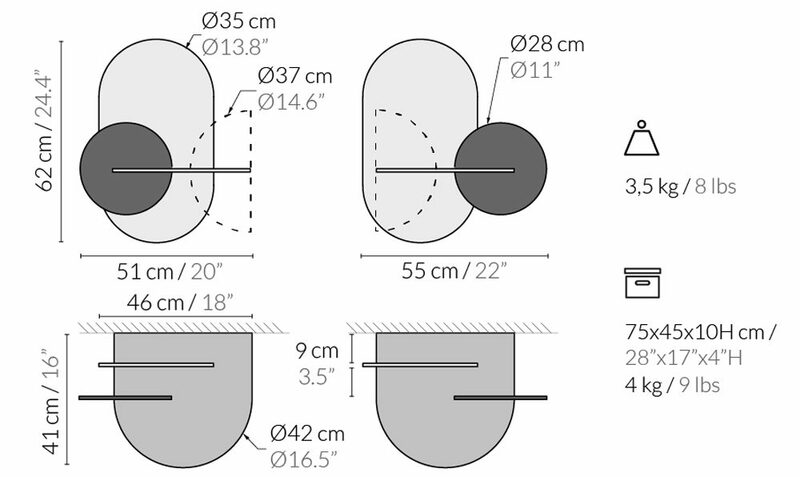 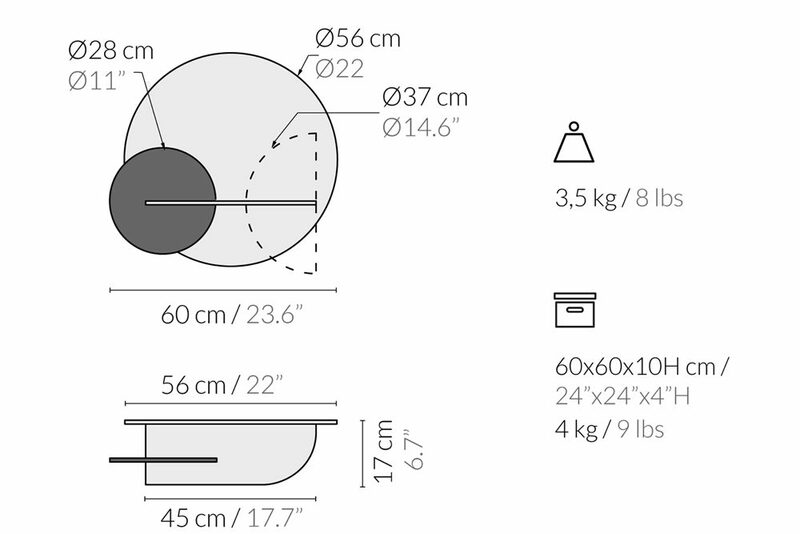 In the night table version (L), we have a back space, behind the bottom piece, which allows us to hide larger objects such as books, tablets, etc. Also, there is a hidden hole in the base that allows us to feed the cable to charge our devices. 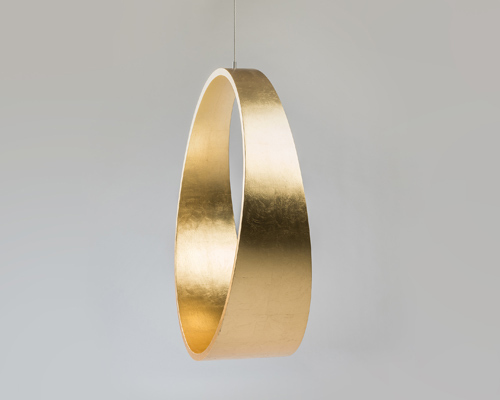 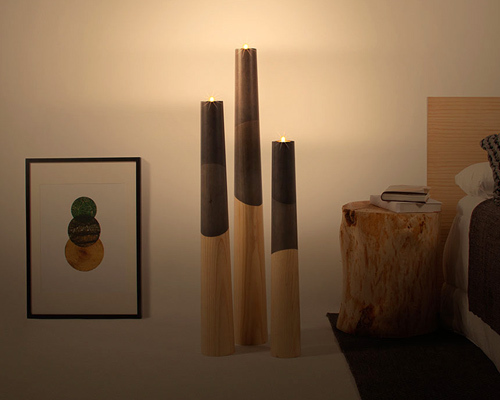 We are a design and manufacturing firm committed to creating distinctive wooden furniture and lighting products. 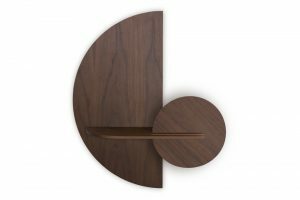 By combining the skill and knowledge of master craftsman with innovate designs, we create unique works with traits that are elegant, timeless while maintaining respect for the environment. 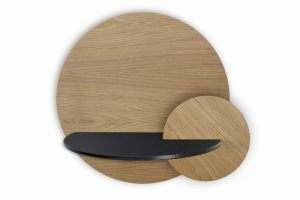 Each product is individually crafted and embodies the emotions and efforts involved in there production. All products are manufactured in Tierra de Pinares, Spain. The products are delivered fully packaged and protected in their housing. It should arrive between 1 and 2 weeks, depending on the delivery destination. 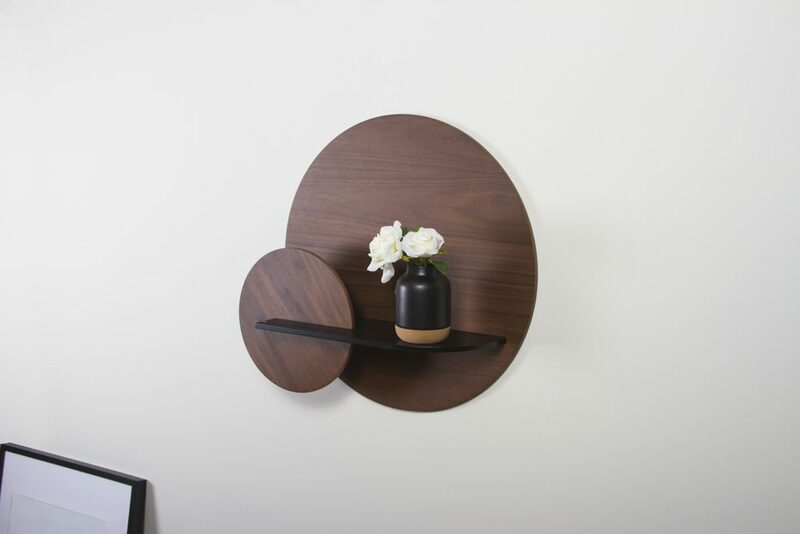 The philosophy of WOODENDOT is quality and the full satisfaction of our Customers. For this reason we offer a professional service in all phases of the Customer’s purchase, from the products they order, payment, shipping and after-sales service. 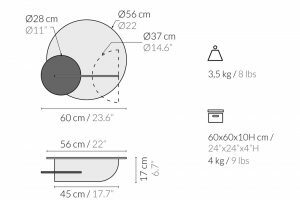 While we hope that the Customer will be entirely satisfied with our products, there is always the possibility that, once they receive their order, they are not fully satisfied, or the product has been damaged in transit. 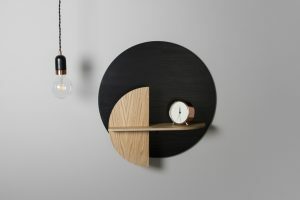 If for whatever reason the Customer is dissatisfied with their product, the Customer has a period of 30 working days to communicate its return and a further 7 working days to do it.